Waterbury No. 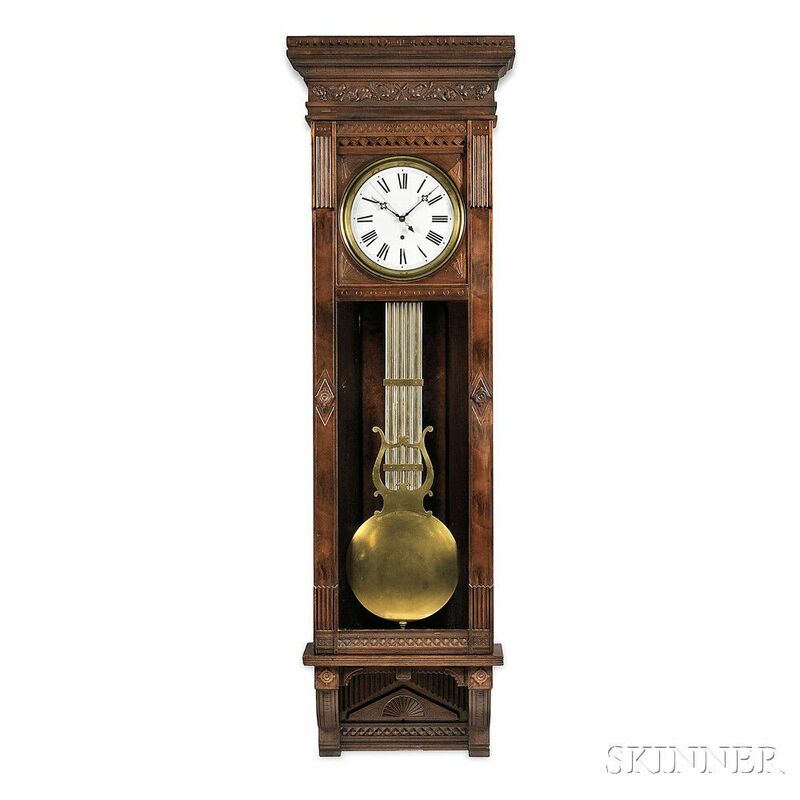 7 Walnut Wall Regulator, Waterbury, Connecticut, c. 1890, with carved cornice and pedestal, 12-in. dia. enameled dial with Roman numerals, full-length glazed door and sides, eight-day timepiece with dead-beat pin wheel escapement, maintaining power, sweep seconds, bronze beat scale marked Waterbury Clock Co., grid iron temperature compensating pendulum rod and brass-faced bob, powered by a cylindrical brass weight, ht. 82 in. Waterbury, Connecticut, Waterbury Clock Co.